This week on a special “end-of-life” edition of the SLHour, we look at how the law is changing in Canada to allow for medically assisted dying, and what that would mean. We speak with Kate Faught, a lawyer in Edmonton and also with disability-rights-advocate, Mark Pickup. 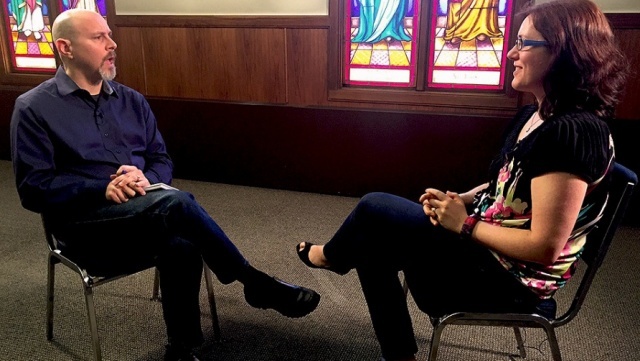 These interviews aired on the Salt + Light TV program, Catholic Focus and were made posssible thanks to Archbishop Richard Smith and his Communications and Life and Family team in Edmonton, as part of the Every Life Matters series. Watch Deacon Pedro’s conversation with Kate Faught on Catholic Focus. Watch Deacon Pedro’s conversation with Mark Pickup on Catholic Focus.